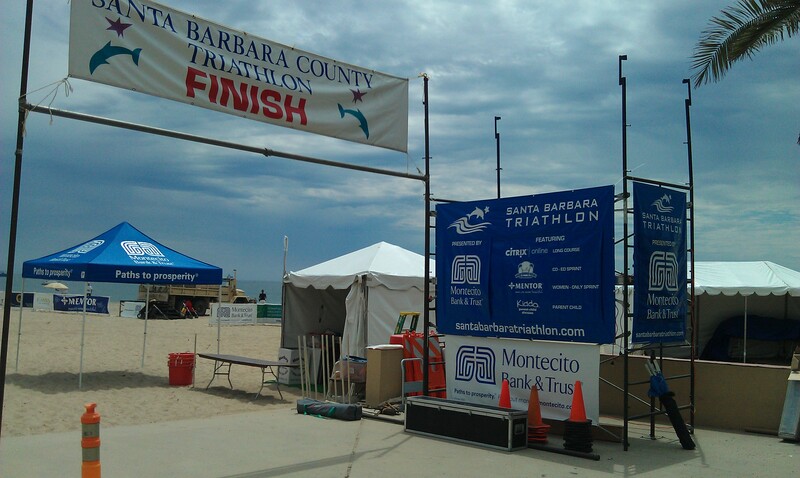 2011 Santa Barbara Triathlon Sprint Finished! Given my crazy training year and the lack of ocean swimming practice I’ll take it! It was just fun to get out there on a beautiful Santa Barbara morning and race, support friends, and enjoy the wonderful sport of triathlon. The swim was longer than last year (again! 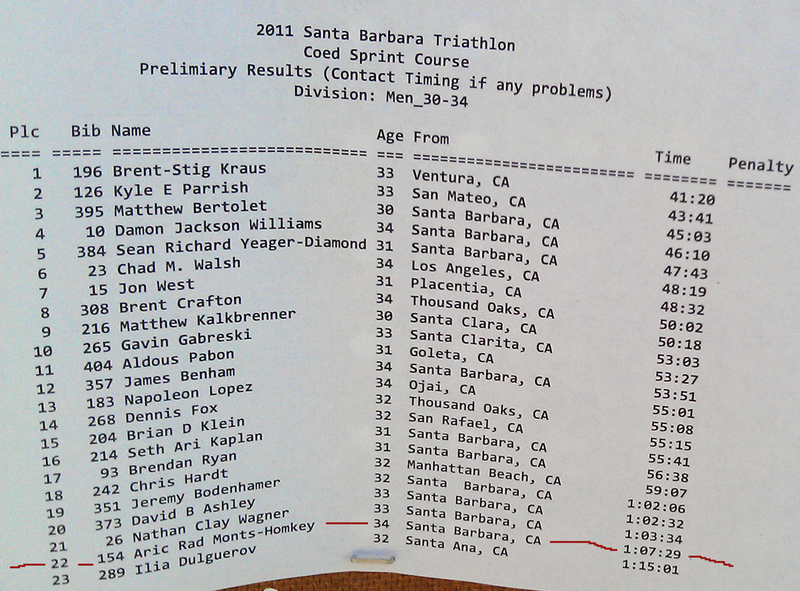 ), the bike was more competitive, but the run felt consistently slow. I feel like I am progressing, but at a slow rate. Can’t wait to see what happens when I can put in a full 6 to 8 weeks of training before. More coming later and a full race report! 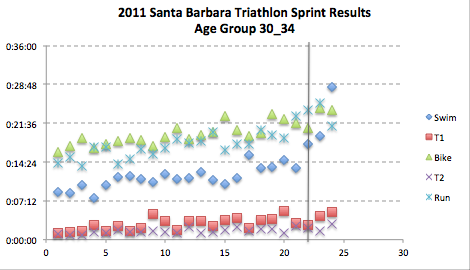 This entry was posted in analysis, Competitions, Goals, Results, Triathlon, triathlon training and tagged Santa Barbara Triathlon, Sprint Triathon, Triathlon, triathlon results. Bookmark the permalink.